When the world had celebrated the arrival of the new year, for the kids at Aadhar orphanage at Kanbargi was nothing but a night with some more sounds of crackers. But the new year morning was surprise to them, as they were invited to see the government top officials to celebrate the new with them. All the kids at Aadhar were invited by DC, Ekroop Caur, she cut the cake along with the kids and also gave them chocolates. She said that, “it was a wonderful and memorable experience today’s new year greetings with all the orphan children s from Aadhar i once again wish all of them a very happy new year. This new year very special for me all the best Aadhar doing excellent work for orphans”. 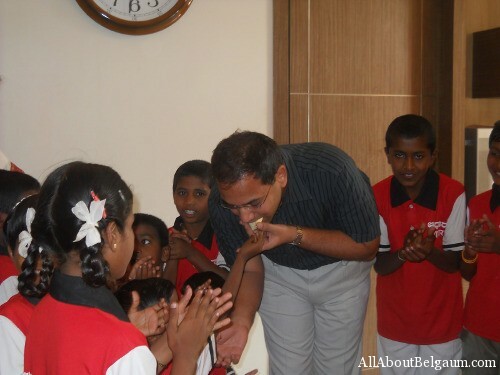 The kids also spent time with the Girish Hosur, IFO. 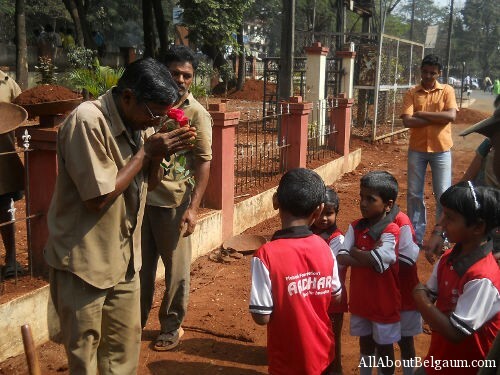 Children from Aadhar gave flowers and wished the staff at the DC office as well. Very Happy to see this and thanks for covering AAB. I wish all the Aadhar kids and Sri Mahesh and group a very Happy New Year 2011. Happy New Year to All the inmates of Adhar Family!!!!!! Really great of these kids HATS OFF TO U PEOPLE. A VERY HAPPY NEW YEAR!!!!!!!! !